The latest generation ultrasonic and mechanical cleaning systems for maintaining your anilox inventory and parts are available on request. We supply “Soft Clean” solution that provides fast, effective and safe cleaning for your entire inventory. Bespoke designs are available to meet your exact anilox dimensions and anilox inventory. The equipment has a number of features such as cleaning cycles and in-built diagnostics to ensure anilox are cleaned efficiently whilst retaining optimum performance. 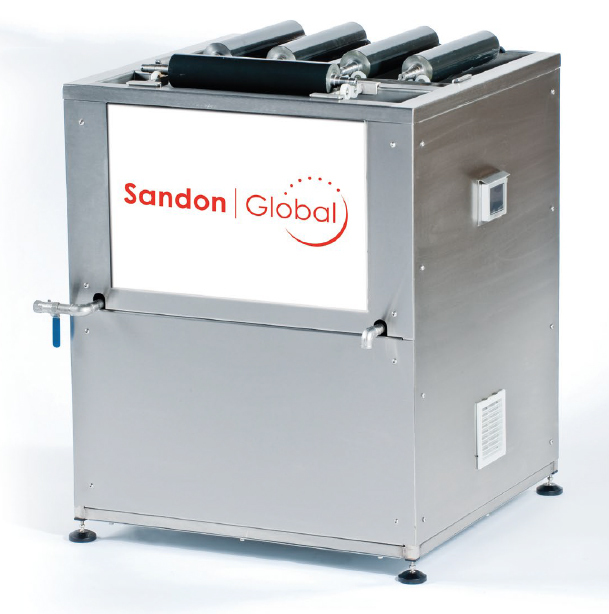 Our Soft Clean Ultrasonic Bath is a bespoke build designed to clean up to 4 anilox at a time. Full design, installation and training is provided. Our award winning business offers flexo printers the opportunity to reduce chemical dilution ratios, enhance print quality, improve print consistency, reduce downtime and make-ready whilst extending the lifespan of your anilox inventory.